UF Health features four clinical “Centers of Excellence”, including: Cancer, Cardiovascular Medicine, Neurological Services, and Transplantation. 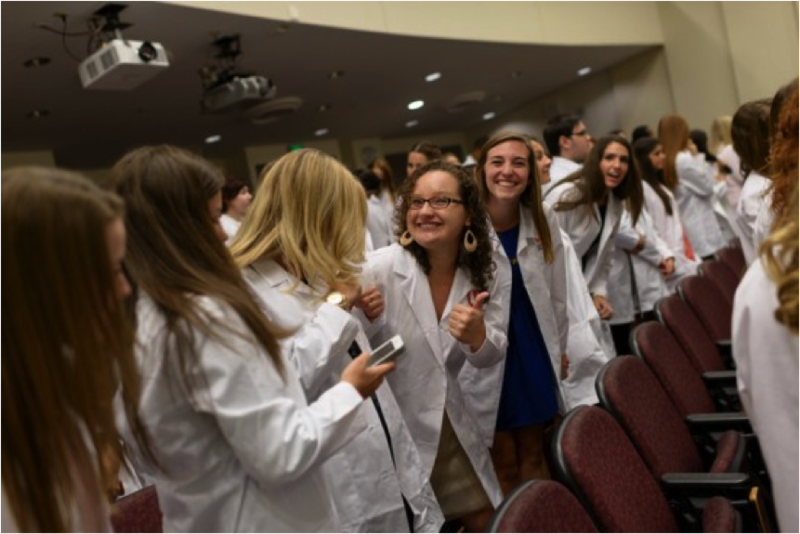 Shands is a private, not-for-profit organization affiliated with the University of Florida. It is part of UF Health, the Southeast’s most comprehensive academic health center, with campuses in Gainesville and Jacksonville. The Department comprises 74 clinical faculty, 11 active research faculty, 80 residents, 19 fellows, 49 advanced practice providers, and a support and administrative staff of 42 people. It is a world-renowned academic department that typically publishes at least 26 books and book chapters, more than 55 manuscripts, and is granted at least 5 U. S. patents each year. Multiple fellowship-trained faculties cover each clinical subspecialty discipline, including critical care medicine, pediatrics, congenital cardiac care, adult cardiac care, neurosurgical and obstetric anesthesia, and regional, acute pain medicine, and chronic pain. Research interests of the faculty span clinical and basic science, nanotechnology, simulation training, and interactive World Wide Web projects. See why UF Health believes in the Power of Together! 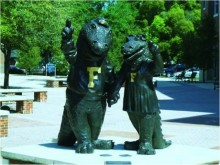 The University of Florida is one of the largest universities in the nation. UF is a major, public, comprehensive, land-grant research university. It is among the nation’s most academically diverse and is home to 16 colleges and more than 150 research centers and institutes. UF was ranked number 2 in Kiplinger’s “Best Values Among Top Public Universities” and is the nation’s fourth-largest university in terms of enrollment, with students coming from all over the world. UF employs a distinguished faculty of some 4,000 members, attracting more than $400 million in sponsored research funding. The 2,000-acre campus has more than 900 buildings and the university comprises 16 colleges and more than 100 research, service and education centers, bureaus, and institutes. We offer 100 undergraduate degree programs, more than 200 graduate programs, and 30 combined-degree programs. UF truly prepares all of their students for the challenges of the real world by giving them hands-on learning opportunities. Being ranked fourth in the number of start-up companies in 2012, no wonder it’s great to be a Gator! Take a virtual tour and find out for yourself. Gainesville consistently ranks in the top 10 lists of desirable places to live by various magazines and ranking services. It is a medium-sized city in North Central Florida with a city and county population of 128,460. The additional 50,000 University of Florida and 20,000 Santa Fe College students bring the total population close to 200,000 people. Housing costs and taxes are low compared to most areas of the country and there is no state income tax. Gainesville has a small-town feel with a big Gator heart. 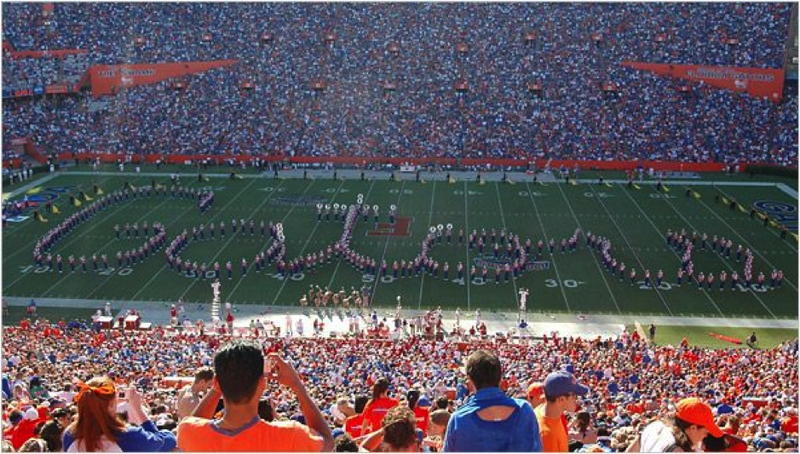 “The Gator Nation,” as it is called, expresses the excitement people have for the University of Florida along with what the city has to offer. Gainesville is a semi-tropical city also known as “The Swamp,” with mild winters and warm summers. Its inland location protects it from the impact of hurricanes in both the Gulf and Atlantic. With this great weather, you can always enjoy outdoor activities, especially at the many parks, lakes, and springs. Our national parks are great for snorkelers who love the freshwater springs, and don’t forget about swimming, boating, fishing, and camping. If you’ve have your fill of our lakes, take a drive over to the Atlantic or Gulf coasts (only two hours east or west) to enjoy the beautiful beaches. And Disney is right down the road, along with various other entertainment parks. If you’re not an outdoors person, try Gainesville’s many museums and the Hippodrome Theatre, where you can watch live shows and music. In addition, downtown Gainesville offers a unique dining scene, art festivals, and entertaining bars. Gainesville offers a cultural, educational, and entertainment experience for everyone!